Same relevancy has other old designs, people like the look of them and the way they sail. 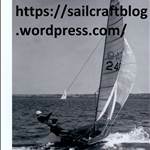 Have you found out about Percy, checked all sailing forums and google can't find anything ? Just what the commentators said. He had to fly out for discussion about Malta. There were rumours previously that the Sardinia challenge (which turn in to Malta Challenge) would involve ex Artemis personnel. Also, loads of people were asking on the SSL chat where he was and there was never a satisfactory response, which made it sound as if something was happening behind the scenes. Its a fantastic boat and been highly developed over the years. The tiny section mast needs to be carefully looked after in breeze though ! None? As others have said, far from it. Lots of expensive gear for unremarkable speed. Initially designed not as a thoroughbred, but as one of the many cheap little local club one designs that existed around Long Island Sound. That list isn't actually meant to denigrate the boat, but if people are going to apply the same level of criticism that is applied to the Laser (as in the question you responded to) to other boats then they will almost all cop criticism. I'm a bit embarrassed that even after owning a boat with runners, I didn't realise how often the Star guys played theirs. It looks as if the skippers are actually locking off the mainsails and playing the runners gust by gust - is that right? I'm loving the SSL; so nice to see some televised racing that has boats that 90X% of sailors can relate to, and it must be the hottest collection of talent afloat. Think they play runners and checks loads. Yes proper boats being sailed on proper courses by decent sailors. Decent long shots rather than chopping 3seconds here 3 seconds there. To be honest in that location with that quality camerawork and coverage, most olympic classes would be as interesting, even youth classes. Oppies and toppers. I think that may be the significant point. I'm enjoying watching it too.